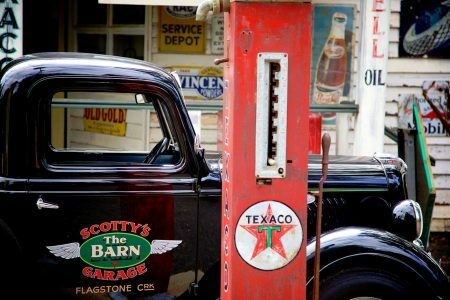 A vintage black Ford V-8 pickup truck at Scotty’s Garage in Queensland, Australia. Credit: Special thanks to Mike van der Hoorn for granting permission to use this photograph as a jigsaw puzzle. Visit Mike van der Hoorn's Flickr photostream. See all jigsaw puzzles based on Mike van der Hoorn's photographs.